I know you’re passionate about helping people and to help people realize there are other options, more alternatives available to them, beyond traditional medicine. 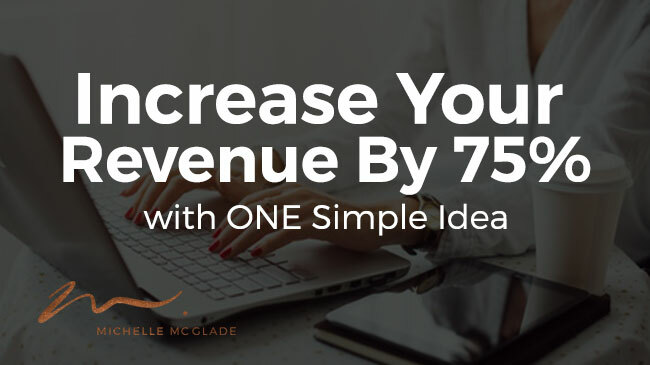 So let’s get down to helping you make money so you can reach and touch more people and Increase Your Revenue by 75% With One Simple Idea. 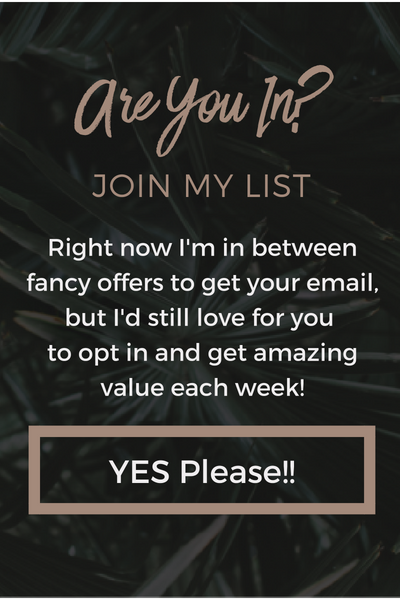 I want to talk about the fact that building customer loyalty helps you immensely. Actually, it guarantees that you’re going to keep more clients in your business, which will make your revenues increase. In fact, your revenues will go up by the tune of 75%. This is documented! I want to share a story about a customer experience I had. I saw an all-time favorite massage therapist at one point, and she always kept me coming back. Specifically, there was one thing this therapist did that was really above and beyond. Clearly, I had amazing results with her. She was a great massage therapist. But the amazing outcome she could offer was specifically reducing tension and pain in my shoulders. It made me feel so relaxed and well cared for, but in addition, there was always a great customer experience that she orchestrated for me every time. Every time I walked in, there was always someone there to greet me. They would offer me water or tea and I’d sit down on the cozy sofa in the waiting room, listening to lovely music playing. Essential oil would be diffused in the air and it honestly felt like I was hanging out with friends in my living room. This made me not mind waiting. Because, let’s face it. It was really comfortable, really cozy and was really warm and inviting! But, I typically didn’t have to wait often, anyways. Once I’d get into the therapy room, I’d select oils and relax on the table for a few minutes before we got started. This therapist was great at balancing between talking shop and letting me just check out. I like to talk shop, as it helps me unwind a bit, but then we’d get into the massage and she did this really, really well. It was always a very consistent experience. I never felt rushed, or more importantly, that she was rushed. There was always plenty of time before and after and the practice wasn’t jam packed with appointments. A different massage therapist I saw got the job done, but it was completely the opposite experience from the other place. This therapist was part of a bigger yoga center that offered other therapies and services. They had retail and about 10 people at their front desk. It wasn’t cozy. While it was clean and well designed, it wasn’t warm and welcoming. It felt like a big place of business. This therapist talked my ear off the whole time. There wasn’t tea, there wasn’t water. It was rushed. Everything was ran on the hour. If I’d say, “ouch” he’d say “No pain, no gain.” It was sterile, didn’t allow me to unwind and just wasn’t relaxing. This is what I mean when I talk about creating a great experience that will earn customer loyalty. While I went to the OK therapist a couple of times, the first therapist is the one I was really loyal to. When people would ask me for a referral, I’d refer them to my favorite. Everyone. Why? Because she delivered an amazing outcome and a high-touch client experience. Over and over and over. I am betting that if you think about your own experiences and why you go to certain places, you’ll see elements of this, as well. Starbucks has had a great reputation when it comes to this type of experience. I’m a huge fan of Starbucks because no matter which location you go to, you’re always getting the same customer experience. They have created a powerful recipe that they are delivering over and over and over gain. A lot of practitioners fail when it comes to this type of consistency. But when you are consistent, you are delivering and engaging with all five senses. You create a memorable experience, which is going to cause people to say, stay and buy. These clients are going to talk about you in the marketplace. Referrals! They will share the fabulous experience they had with you . They are going to become loyal and will only be taking their business to you. Because of this loyalty, they are going to buy more products and services from you. This is something I incorporated into my clinic immediately because I understood what customer experience was all about. When people experience this high-touch experience, they will literally feel and think differently about your business. I had a client come in and left a review about her first visit, saying that she had been treated like a queen. Can you imagine having clients running around in the marketplace, telling people that they were treated like a king or queen at your place of business? That is powerful! Building this kind of customer loyalty is going to guarantee that your clients will stay with you. And because you keep more of those clients, it will literally impact your bottom line to the tune of 75% more revenue! They are going to say, stay and buy. So how can you do this? I discussed earlier about incorporating the five senses. Let’s get deeper in this. People are inundated with marketing messages, whether it’s from their phones, billboards, etc. Information is coming at them all day long. So how do you compete with that? How can you stay on top of their minds? By being memorable. Think about how powerful your senses can be. When you smell something specific, it can take you right back to a wonderful memory or powerful moment. You want to engage with the five senses so that you’re stored in their brains. It’s what people will see, hear, taste, touch and small when they’re engaging with you and your business. All of these little touch points were thought out and thought how they would engage with the five senses. The goal was to make everything more memorable. I wanted to stay at the top of their minds and to create an unbelievable experience that would earn their loyalty. Consistently. By doing this, you’ll increase your revenues by 75%. Building customer loyalty is truly the answer to increasing revenue and making money in your wellness business.